Diabetes — a disease associated with impaired glucose metabolism. Diabetes treatment. As is known, diabetes is Type I (juvenile) and type II (senile). In addition, there is the so-called latent diabetes, which is a latent period of the disease, or prediabetes. If sugar is normally should be up to 6 units, the numbers of blood sugar 6,1-6,5 indicate latent diabetes or latency of the disease. Herbs provide substantial assistance in the treatment of all types of diabetes, although it must be remembered that the use of herbs can not replace insulin and anti-diabetic medicines — herbs they only supplement. However, a dose of anti-diabetic drugs and insulin can be significantly reduced on the background of herbal medicine. There is a sufficient number of well-known and available to the plants, which can be of great help in the treatment of diabetes. Valves beans are the most efficient phytotherapeutic agent for this disease. They can reduce sugars even 60%. Diabetes treatment. 1-2 tbsp. tablespoons chopped bean leaflets fill 500 ml boiling water, then for 30 minutes on low heat, cool, strain. Divide the resulting broth into two portions and one drink — in the morning, the other — in the evening. Bilberry leaf — known agent for the treatment of diabetes. It can be found in the pharmacy as leaf blueberry is a means not only of traditional medicine, but also part of the official pharmacopoeia. This is one of the components of virtually all antidiabetic fees. Harvest blueberry leaf during the flowering plants: in May and early June, not yet berries. You can use not only the sheet but also twigs green plants. 1-2 tbsp. spoons of crushed leaves and twigs of blueberry pour 500 ml of water, bring to a boil, then remove from heat and leave for about 45 minutes, strain. The resulting infusion drink in two stages — in the morning and evening. In addition, you can use the related plant blueberries — blueberry. Leaf and twigs of blueberry can be harvested all summer, and brewing raw materials is needed as well as branches and leaves of bilberry. Creeping cinquefoil is also effective in diabetes. This creeping along the ground plant is common in our area. It appears in the April-May, that is one of the first plants which delight us after the winter. Creeping cinquefoil belongs to the family Rosaceae, attracts the attention of bright yellow flowers, the value of which is approximately the same as that of wild strawberry flowers. Used creeping cinquefoil only in folk medicine. Take 1-2 tbsp. spoon vegetable raw material per 500 ml of water, zaparte under the lid, and then insist to cool, strain. The resulting infusion drink in two stages — in the morning and evening. Less popular in folk medicine for diabetes, but also are quite effective herbs such as stinging nettle, lady’s mantle, periwinkle, common cocklebur, Solomon’s seal and velvet Amur. Nettles drink short courses, as it increases the clotting blood. A tablespoon of raw pour a glass of boiling water, to insist to cool, strain. Drink 0.5 cups in the morning and the resulting infusion of 0.5 cups in the evening. After a 10-day course of treatment with nettles should be done a 10-day break. With regard to the cuff, there is an interesting recipe, recommended by the German Naturopaths. 50 g cuff pour 750 ml of dry red wine, bring to a boil, then remove from the heat, let it brew and store not straining. Take 2-3 times a day for a drink this medicine. It happens that when none of the herbs does not improve the condition of a diabetic, then comes to the aid cuff — but we must remember that everything is quite individually. If you prefer water extracts, the brew 1-2 tbsp. spoon cuff 500 ml of boiling water, let it brew and drink in two stages — in the morning and evening. Periwinkle belongs to the potent herbs, so it should take less than: a teaspoon per cup of water. Then over low heat for 5-10 minutes, cool at room temperature, strain; resulting infusion drink sips throughout the day. Especially useful reception vinca those who suffer from hypertension. Therefore diabetics with hypertension I usually recommend periwinkle. Patients with diabetes and diseases of the thyroid gland at the same time, I propose, as a rule, cocklebur, has beneficial effects on the thyroid gland. cocklebur grass insist on vodka in 3 weeks. To prepare a 10% tincture cocklebur take 1 part of raw material to 9 parts vodka. Take 10 drops of tincture 2-3 times a day — and the sugar will drop, and the thyroid gland use. From Solomon’s seal (roots) are preparing a 10% tincture, which take 15-20 drops 2-3 times a day. There is also sufficient plants containing insulin and insulin-like substances which activate and regulate the pancreas. These plants can be used as replacement therapy, but to completely replace insulin they receive can not, because the insulin-containing substances in small amounts. 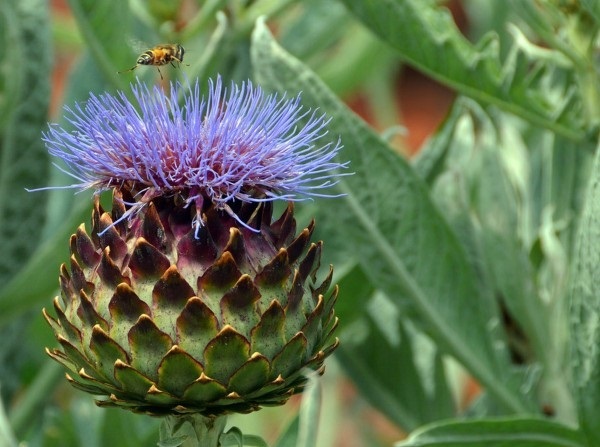 These plants are elfwort (using roots), Taraxacum officinale (root), burdock (root), artichoke (roots), bulrush (roots), chicory (use the whole plant — the roots, and grass) artichoke (mainly roots, and grass can be used). Burdock. burdock root insist this: a teaspoon of minced raw pour a glass of boiled water at room temperature and allowed to stand for 2-3 hours. This cooked cold-infusion drink in two stages — in the morning and evening. Recall that burdock, moreover, will help and joints, and the liver, it is useful in skin diseases. Also, burdock is used to treat cysts of any localization, as it improves lymph flow. Elecampane. A teaspoon of the root Elecampane pour a glass of water, boil about 5 minutes, then remove from heat, insist to cool and filter. Divide infusion into two equal portions for the reception in the morning and evening. It is a consequence of a violation of carbohydrate metabolism). Chicory refers to plants containing bitter, so it is useful for the stomach, liver disease at all. Chicory is also used in cardiac rhythm disorders, skin diseases and as an antiallergic agent. If you brew chicory root, take a teaspoon of raw material to the glass, if you use the herb chicory, take 1-2 tbsp. tablespoons herb to 0.5 liter of water. The root of the cane sweet taste. A tablespoon of chopped root, boil 0.5 liters of water and drink the broth in two stages — in the morning and evening. Jerusalem artichoke can be stored in a cool place for a long time. Jerusalem artichokes can be dried for future use in the oven, pre-cut into his plate. Then dry plates grind to a coffee grinder. Teaspoon or tablespoon of powder of Jerusalem artichoke brew a cup of boiling water and drink in two stages remaining on the bottom of the glass powder is helpful to eat sweet. Useful juice from Jerusalem artichoke; it has a sweet taste — not for nothing that the Jerusalem artichoke is also called Jerusalem artichoke.